Threatwatch is your early warning system for global dangers, from nuclear peril to deadly viral outbreaks. Debora MacKenzie highlights the threats to civilisation – and suggests solutions. In her latest post she highlights the threat pose by Chikungunya to the Caribbean region. 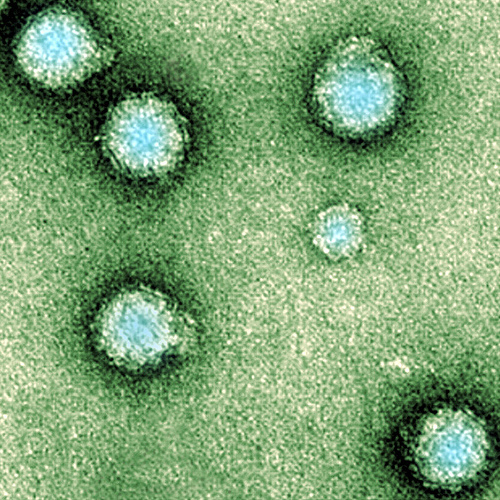 Chikungunya virus, which causes fever and debilitating pain, has spread around the Caribbean, made landfall in South America, and could travel still further with the tourists who flock to the region for carnival season and winter breaks. With rains – and mosquitoes – due to surge in the Caribbean in coming months, the virus poses the greatest threat to the tropical Americas, possibly including places still blissfully unaware they harbour it. Since the virus first appeared in the Americas last December, on the French island of St. Martin, cases have soared past 8000 on five islands and French Guiana. Reports that it had reached Mexico last week have not yet been confirmed. But it could be lurking unrecognised in other places, too. “You can’t tell chikungunya from dengue clinically,” says Robert Tesh of the University of Texas Medical Branch in Galveston, and dengue virus is common across the region. Roland Hübner of Belgium’s Superior Health Council, which advises the country’s health ministry, says the region’s official guidelines call for chikungunya tests only when an initial dengue test is negative. This may be masking cases because some people who test positive for dengue can also be infected with chikungunya. Moreover, few places have the capability to carry out efficient testing. More than 90 per cent of cases in the Caribbean so far have been in territories held by France, which developed its diagnostic capabilities for chikungunya duringoutbreaks on French islands in the Indian Ocean starting in 2005. “It is highly probable that the disease has been under-diagnosed on other islands,” says Xavier de Lamballerie of Aix-Marseille University in France. Rainfall and temperatures are relatively low across the Caribbean and northern parts of South American at present, reducing the number of mosquitoes that carry the virus. “The situation will be very, very different in a few months,” says de Lamballerie. Virologists predict an explosion of cases when the rains return. The virus has never been seen in this region before, so numbers will be especially high because no one has any immunity to it, says Tesh – and the pain will undoubtedly be compounded by damage to theregion’s tourist industry. In fact, chikungunya could already be headed to more temperate regions with tourists returning from Caribbean vacations. None will spread the virus any further as long as winter keeps local mosquitoes out of action. Whether it invades temperate areas this summer, says Hübner, partly depends on whether this strain of the virus can be carried by the tiger mosquito, Aedes albopictus, which has spread worldwide. In the tropics, chikungunya is mainly transmitted by the same mosquito that carries dengue, Aedes aegypti, which also infests the southern US and balmier parts of Europe such as Madeira. But it is not the only mosquito potentially capable of carrying the virus. The tiger mosquito Aedes albopictus, found as far north as New England and central France, was responsible for a brief invasion of chikungunya from India into Italy in 2007. That was stamped out with insecticide. Virologists think the Indian Ocean outbreak of chikungunya was caused by a mutation in the virus that adapted it to tiger mosquitoes. The chikungunya strain currently spreading in the Caribbean, however, is an older Asian variety, and it isn’t clear yet whether tiger mosquitoes can carry it. French labs are testing this now, but de Lamballerie says tiger mosquitoes are “highly likely” to be able to.